A low cost fitness trampoline for private use. 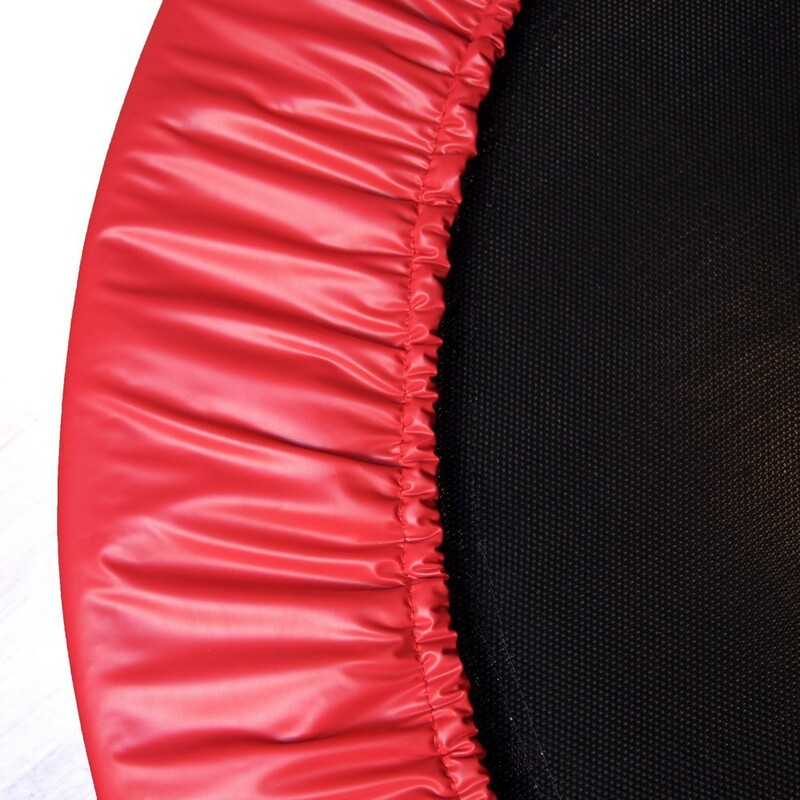 The Minimax fitness trampoline is a small indoor trampoline measuring 102 cm in diameter, and ideal for home workouts. It can withstand weights of up to 60 kg. Particularly well-adapted for fitness exercises and physiotherapy. You can work on your cardio-vascular stamina and leg muscles without putting any strain on your bone joints. - Equipped with 36 88-mm springs that will allow you to perform small dynamic jumps. Perfectly suited for musscle-strengthening exercises. 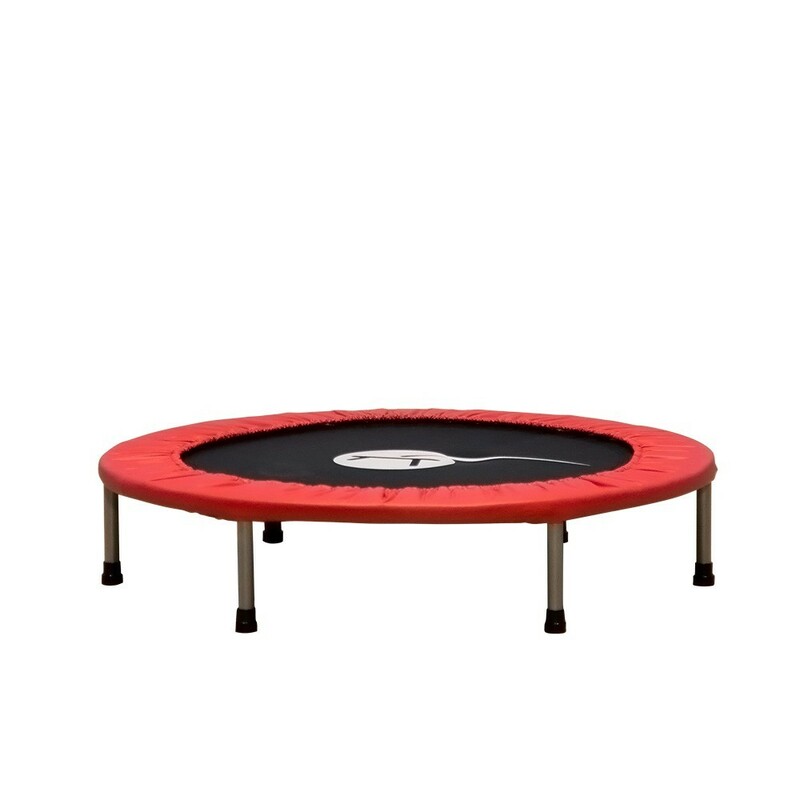 - 20-cm high, the finishings of this fitness trampoline are designed for indoor use. 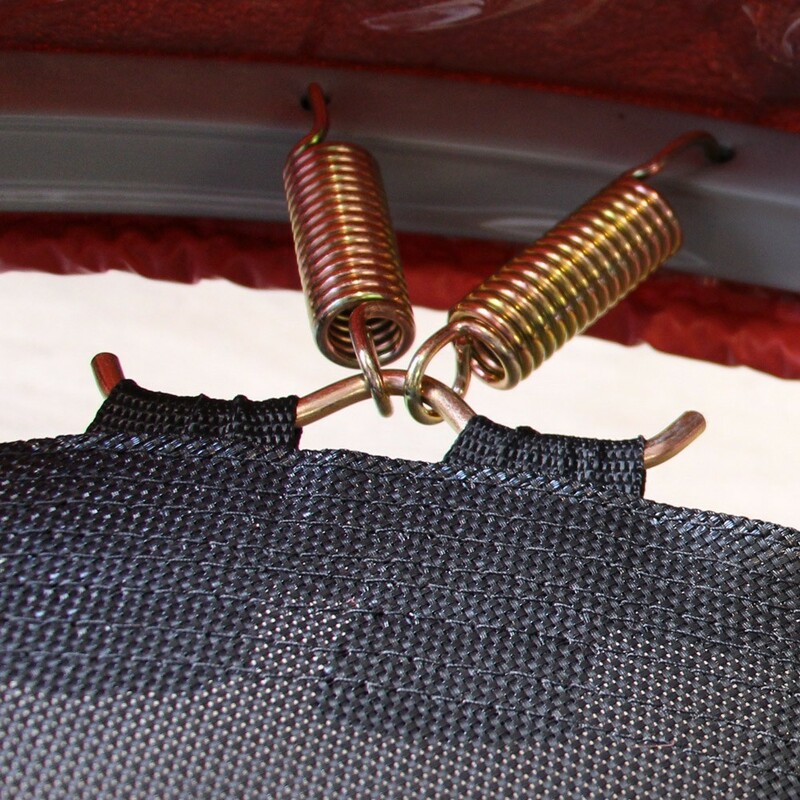 - The springs are covered with a red, reinforced frame pad. 135-mm wide, it entirely covers the springs to prevent you from injuries. 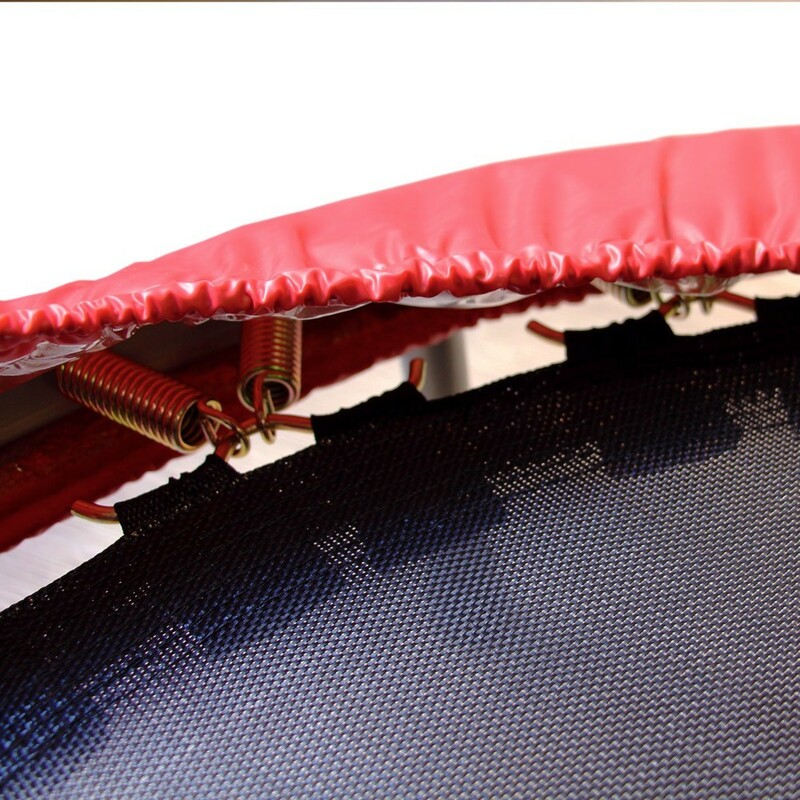 - The Minimax trampoline's legs are removable, making it easy to store in a closet or under a bed so that when not in use, you won't even know it's in the house! Are you a fitness coach or instructor? The Minimax Pro is better suited to intensive, professional use.